Next Post Happy Valentines Day!!! I wish I lived closer because it all sounds fabulous! I will do my part to help keep sales up! Wow——lots of interesting ideas and I love them all. Now in the perfect world you’d open a 3rd store for us in the south—maybe Nashville——lots of tourist traffic. Not all of us can fly, but a 2-4 hour drive is doable. Will look forward to hear how you progress with your ideas. I am hearing the same comments from friends of mine who are teachers/designers who do not have brick and mortar. I know that internet shopping is what I and most of my friends do. We have some quilt shops only one with “some” wool. I try to support local business but if they do not have what I want then of course I use the internet. I also do rug hooking and know many from all over the country who do. You might check out ATHA the national organization of traditional rug hookers. Rug hooking is not latch hooking. They publish a wonderful magazine. We are having the national biennial in Denver in August and expect 400 to 500 “hookers” from all over the country. Retreats are also wonderful. I have been to one of yours at your studio and would do more if I knew about them. Going on the April cruise. Looking forward to whatever you decide to do. Retail is HARD! Thanks for asking for input. A southern store stocking your kits would be great, Nashville is good or that area. I live in Alabama. I have been to CA store twice & it was fabulous! I know what you mean about quilting…wool appliqué too. We make so many, gift so many, then what? I, too, find myself doing smaller projects now. I REALLY like the jewelry idea. Always need new pieces and gifts. Hooking retreats/workshops would be fun. Going on one next weekend. 🐑Please keep the ideas coming. We’re your groupies and always here to support you & PG! iIdo agree that quilt shops are having a hard time. Prices are getting outrageous for so many things. perhaps adding some variety to the items a shop carries could be nice, just don’t go so far overboard that there are too many choices. The sewing group in which I participate has that kind of variety. We have hand quilters, appliquers, wool rug makers, knitters.Everyone brings their current project and we have a nice four hours to work, chat, and nibble. Ways the nibbles. Because our original host closed her shop and moved the group has struggled to find a central location to continue meeting. I think this is much like the culture of the quilt community. Things are fracturing and many find it hard or impossible to continue. It all sounds very exciting. I can’t wait to see more, especially more rug hooking again. But I love all things homemade to make a home special and cozy. First of all what would we do with out you. I don’t want to find out. A place to create sounds fun. Especially if you do different classes. Keep it to a minimum, to many choices may not be a good idea. Nashville…YES! Such a growing place with tons of tourism! And only 2 hours from me! Excellent excellent location! I dont know of any shops that carry anything remotely close to what Primitive Gatherings has within a 4 hr radius! Go Nashville! My daughters are still quilting, the modern quilts. I have slowed down some, more interested in hand work. This Marie Kondo movement has hit hard, everyone I know is getting rid of half their homes contents and vowing not to let anything back in. No sentimentality at all. Because I’m retired and downsized I have also had to get rid of things, with much less enthusiasm. The tide is turning I’m afraid. I also have noticed that quilt stores around me are closing. Road to California quilt show didn’t seem as busy as in the past. I also have a huge stash of kits, patterns and fabric. I am retired and I still can’t seem to get them all made. So, I have a hard time justifying buying tons more on retirement income. My money is usually spent on tools that make quilting and wool applique easier with my arthritis. I hope that you continue your company. I’m so excited to read about your plans and ideas for a “new” Primitive Gatherings. I’m fairly new to the “old” one, as I just began quilting and doing wool applique and punchneedle last summer. I adore your patterns, fabric, wool, and wood items. (I think I’m making nearly everything in Star and Stripe Gatherings 😉) But… I hear you about changes in the market… I’m amazed at how many books focus exclusively on small quilts (which are, I admit, fun to do). A more broadly-based “creative home dec” stop — consistent with the PG ethos — sounds fabulous. While I live in New England, I know I’d buy even more online from PG, because I love your design sensibility… and I certainly wouldn’t object to a trip or two or three to your lovely state for retreats. And hey, if it really takes off and you decide to open a branch in, say, Vermont… I’ll get in line to be your shop manager! Best of luck with this. Can’t wait to see it evolve. Whereas it might be fun to ‘look’ at the things that you showed/described…… they are NOT the reason I go to your website and buy your products at quilt shows, or directly from you. The kind of stuff you are thinking of is the kind of ‘stuff/junk’ that I can buy at Hobby Lobby….. made in China fad stuff that are copies of antiques, etc. I much prefer to surround myself with your beautiful wools, and needle and thread and watch what I can make. Expanding to add rug hooking, classes, punchneedle would be great additions….also items to display/frame/hold our finished products. Let people go to Hobby Lobby for the fad decor and please continue to bring to us your wonderful fabric products! I totally agree. Home decor is so much cheaper at Hobby Lobby. My preference would be more classes, quality quilting and wool supplies. I love your store in California. I would like to see more quilting classes at ur warehouse. Some of the other classes would be fun. Like the others have said don’t go with to much variety. I think some home decor sold in your shop would be great. Hopefully it wouldn’t be items from china. I think offering quilting services would be wonderful. Sadly, I am not surprised at the downward trend you mentioned. So many of my friends and I are looking at the huge stash of fabric and kits in our closets and feeling like we can’t justify more “just because I like it” fabric. Unfortunately, the cost of kits, fabric and tools just keep going up making it hard to buy things we already have a dozen of in our closets. Currently things that attract me personally are BOMs, quilt kits where the fabric pieces are pre-cut, fabric collections with suggested patterns, appliqué quilts and wall hangings (wool & fabric). I would even be interested in small items such as pincushions that are already finished for purchase. Items to organize my stash would be great too. I truly wish I could sew faster so I could use up what I have and buy more. I wish you the very best as you branch out. We lost a quilt shop that had changed hands about six times.. It is now featuring all of the arts you mentioned, don’t know if her business is any better with the change. It has VERY LIMITED FABRIC HARDLY ANY WOOL. I am a senior (BA in textle arts) who has done ALL those crafts. None of them are as over the top fabulous as quilting, wool, patterns, stiching, applique. I LOVE everything in your shop. Didn’t get the Wool Box bc I don’t cook or garden. I dont need a new project each month bc I want to finish Twilight Garden. Your Nov reyreat in CA was great, I’ll go again in Nov. Since I’m in quilt shops I would buy many of the gift ideas you showed. We can’t make EVERYTHING, so a ready made “got to have this NOW” item is a draw for me. At quilt shows I started buying tools, clothes, jewelry when I had decided my house couldn’t hold any more fabric (but I still buy it). You are so creative and unique we are blessed to have you and your ENERGY! I prefer a quilt shop to be a quilt shop, there are already store with lots of home decoration items. 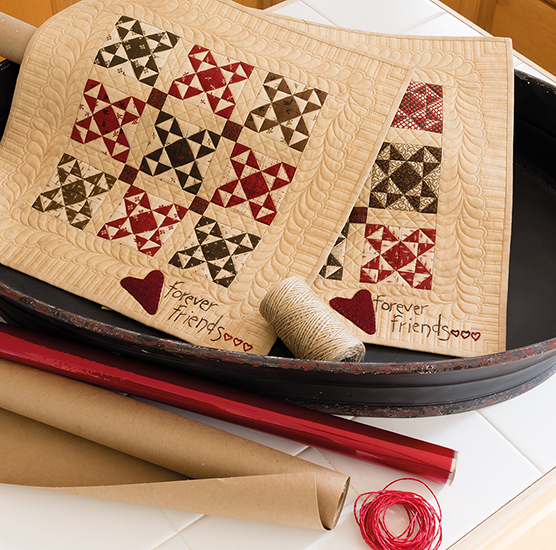 Quilt theme items are okay, like holders for quilts, items with quilt and sewing motifs. Lisa, I peruse your website and blog all the time for inspiration etc. I do not have what I consider a good quilt shop near me. I used to visit a place that we referred to as Cheers–where everyone knows your name. I want to visit a shop that inspires me. One that is my ‘happy’ place. Things to feather your nest–something I think you have been doing an amazing job at creating things for, but could easily be complemented with some decorative pieces. I have not had the chance to visit a new nursery somewhat near me who have really committed to finding talented people to have gift shop items along with their plants and gardening stuff. and hosting creative workshops is a brilliant idea. We all want that thing that makes our home personal and unique. I think whatever you do, you will do it with the passion you have for being creative. and as long as you are passionate about it, it will work. I like reading your blog because you are enthusiastic and passionate about what you do. I love the rug hooking idea–check out Deanne Fitzpatrick. She runs a shop in a small town and writes beautifully about creating beauty everyday. Loved hearing your thoughts. I had no idea things had change so much. Those that took to quilting are getting older and retiring so big quilts aren’t on my to do list but I’m still making quilts but…there is always a but. I also knit, I knit a lot. I have taken up wool appliqué but want your coming book. I want to hook and other things as well. I love staying busy. Now the younger generation it seems to me they want the same things in their homes they just don’t have the time or patients to do them. We all love cozy, warm homes so this might be the right direction for you. And I could see sitting on the porch of that retreat watching sheep and cows while I stitch. I’m now doing it in Colorado every summer. I’ve just sent you a very long letter to your email Lisa. Read it – then know that having a place for a retreat is a great idea. Then get a few “movers and shakers” to gather their friends and bring them to your place. Talk to me about this. I know how it works – and have done this for years. You’ll do great. You have followers who love you – and your work. Bonnie Miles / American Heritage Tours A quilter from Utah ! We are experiencing all the same things in the Seattle area. Two favorite shops closing. One remains online. Thank you for trying to think outside the box and trying new things!! I’m not sure how you address the fact that many of us quilters have quilted for many years, have ample stashes and unfinished projects….many are downsizing. HOWEVER, designers keep coming up with marvelously tempting things and we can’t resist them all!! Online is useful, but doesn’t allow seeing and touching or the fellowship of like minded fabriholics! Your multifaceted approach may work and allow more time to pass for younger women, completely busy with family and work, to moved into a season of life that provides more time and space for their creative outlets. They will need to feed their souls also!! Again THANK YOU for your perseverance!! I can see that the quilting industry has changed. People don’t have the time nor the desire to make a huge quilt. As a quilter I am one who believes that if I put all my time and all my money buying quality fabric I want to have quality machine quilting done so I always have my quilts done. They are investments and treasures. Glad to see that you may be offering that service. Also I think the change for Primitive Gatherings will be awesome. I like the idea of the total experience and you are just the person to make it happen. Always coming to your store is a wonderful experience and adding all that will make it even better. Looking forward to change. By the way, it’s an hour and 45 minutes from my hone to Primitive Gatherings and I always enjoy my visits. I too would love to see another one of your stores in the South someplace. I’ve heard lots of great things about your other stores but they are just too far away. Barn quilt classes might be interesting. My husband and i took a day trip in VA looking at barn quilts and I was so smitten with what I saw I came home and painted one for our house. Just a thought. Lisa, a company that evolves for a different customer base will survive. You can always make a quilt from a kit bigger with some clever additions! The 30 to 45 yr olds are all about fast service and one stop shopping. I love Spring Green’s Country Sampler shop for the incredible customer service, the wide range of products and home decor. Perhaps the day of the huge quilt expos is done, and the wonderful quilting retreats could have a new era. You can’t be everything for everyone, but focusing on certain things will always win! I really have mixed feelings about this post. I understand the quilting industry is changing, my friends talk about it a lot. I witnessed your smaller booth at Road and noticed that several regular vendors were not present this year. Everything is more expensive, it’s hard to justify the cost if you have a closet full of fabrics and kits. I’m at the point in my life that I’ll most likely never finish everything I currently have! You have some great ideas, and I for one would like to see more ready made gift items for sale in your store. Change is hard, but it’s also exciting, just don’t grow too fast and don’t stray too far from what you do best. You have a huge following and and most will support you no matter what you choose to do. Think about how long you plan to work before retirement. Is a big investment worth it? Will you be an,e to sell it for a profit? Don’t try to be everything to everyone. A smaller niche business may ultimately be more sustainable than a bigger broader business with higher overhead. As an international customer I have very limited access to your range of products in the shops here and have to rely on Internet shopping. I have made some seriously expensive mistakes when buying fabric on line, colours don’t always appear the same! Whilst I love BOMs and would love the wool boxes, by the time that postage is paid the cost is absolutely prohibitive sometimes doubling the cost of the product. What about a Primitive Gatherings in the UK or a partnership with a shop with a similar ethos and target clientele? I love the idea of a “destination” shop that combines home decor, other crafts, teaching and quilting but again my access would be incredibly limited! Good luck whatever direction you decide but please don’t ditch the quilting! Hi Lisa, i am a long time fan and watched you grow. Watching the market trends and what people want is important. I grew up knitting, crochet, all types embroidery, crafting, sewing on the Singer treadle machine. I had a business for yrs making n selling beeswax candles in jars,molds and handdipped the old fashion way. I think people will always want to create. It makes them feel good. People are doing smaller projects but why not include yarn in your shop with classes, embroidery, needleworks,jewellery making. Suggest home decor that is vintage/ primitive, florals,gifts. I do shop some wholesale for my etsy shop. Ragon house is fabulous and i think i saw sewing machine based table lamps. Keep the creative juices going, follow your dreams. People love vintage or reproductions too. Wool rughooking. Is great too as we like to have different pieces in our prim homes. Pulling several complimentary hobbies into your store pulls in more customers. I was in a quilt shop long ago that had a coffee and deli section. Couples or friends could eat something light around shopping in the store. making etc would be fun & draw people in who might not stop in a fabric store. You would have guest artists instructing. Our library has well attended classes for adults & teens in needle felting, tiny book jewelry making, tapestry weaving, spinning, fabric dying, spa soap & scrub making & many other arts. Being an outlet for other crafts/artists would be better than offering many items found at gift/craft shows. Companies that buy at them have many outlets & would offer them at reduced prices faster than you would/could. Anyway, that’s my 2 cents. Best of luck. I love primitive fabrics..the cheddars..blacks. I love the primitive look. I would love to see a direction toward simple comfortable clothes made with some of it. Tops—dresses..aprons for sewing tools. Things to throw on without zippers etc. I also don’t see a lot of Info online about your beautiful retreat house. If you can’t afford a zillion different stores all over the place could you put up a retreat house here and there for those of us that can’t get to Wisconsin? Fill it with your cool stuff—-your quilts..a dog. You know…😎some socks…..if you build it they will come. I like that you are asking your customers for ideas, but I also am feeling the change in quilting. I think it is difficult to have a brick and mortar store, with all the incidentals and trying to keep up with employee turnover. It seems most craft things are a flash in the pan and then people go on to something else. I know you could keep on top of it but Whew! Good luck in whatever you decide. I will continue to support you on line and at craft shows! i understand- but quilt shops IMO should be quilt shops/soft art/quilt related. I get bringing in other markets- but really- soft art is just that, soft art. Do what you need to do and your followers will continue to support you- but I don’t want to paint and I have my garden center to go to for gardening issues. Food… caramels are really good. Lisa, I am a quilter, I was and am a doll maker. Years ago Doll shows were everywhere and there was so much excitement As the years went on there were less and fewer doll shows and less and fewer people to attend them, Sadly today there are very few shows and most of the people who attend them are older ladies. 90 % of the shops and online sites are now gone and you can hardly find supplies. What you are talking about with the quilting industry sounds sadly like the Doll industry. Glad you are thinking ahead for better ways to keep quilting alive and well. P S…my friends and I have gone to Paducah for more than 20 years.for example…and we have noticed a lot of changes. I have wondered if some of the downturn in attendance isn’t because of less interest particularly although there are still a ton of people there but there are MORE shows…MORE designers…MORE of everything than there was years back. When AQS started there was Paducah…. just a thought. (I know the internet has affected brick and mortar…but people do still buy). Just wondered what you think about these thoughts. I can spend more NOW than I could years ago! I always love Primitive Gatherings…. I loved all you showed. I love home decor things but find I have so much there’s no place to put everything I see! I owned a quilt shop when I lived in Alaska and I always carried items other than quilting, especially jewelry. I have bought home decor items from quilt shops I’ve visited. When I see or use those things in my home i am always reminded of that shop or its town. Go for it – you’ll find out what people want to buy! We spend 40 years accumulating stuff and the next 40 getting rid of it. Younger people say they don’t want stuff but really it is that their stuff is apps on phones so no one sees it. I think you are being not only creative, but pro-active. Times change, and so do hobbies and interests. I’m a quilter, but I also work with small wood projects, I knit, I study wine, refinish small antiques, and love new original (non-electronic) toys for my grandchildren. So much to do and so little time. Keep up the forward thinking and you will have people like me following you forever! I’m really interested in the way your thoughts are moving! Tho, I’m sad to hear that the quilting industry is losing momentum. How can that be? You are tossing such terrific ideas and projects our way! Praying that all your dreams come true! I am still buying the big kits and loving them. I like all the ideas you mentioned especially home decor. Adding to what you do best is never a bad thing. Love to quilt but, like you said Lisa, the cost, and I have kits -upon -kits stashed in the closet. My first love was cross stitch and then got “hooked”on quilting. But now I am cross stitching again after glancing thru Punch Needle and Primitive Stitcher magazine over a year ago at my local Barnes and Noble. The primitive designs are unique and the color choices of linen and threads are endless. Would love to see your name and patterns in PNPS. I still love quilting but look forward to watching tv and cross stitching in the evening. Your thoughts are intriguing. When My husband and I retired up here to White Lake, near you actually, I moved my T-shirt business up here. My sales are no where near they were in Cedarburg and neither is the clientele. You always need to branch out and try new things, when my t-shirt business slowed, I made T-shirt skirts and had them featured in a Door County shop where she sold hundreds of them every season, but everything has a trend, that was about a three year trend. The reason for my response is that I have apple trees and pear trees and the fruit goes to waste, I also have raspberries . I would like to offer them to you for your new beginnings. Maybe you could do a pie making class or a canning class or make a delicious pear tear and stitch while they are baking. Just a few thoughts.they are your at no charge if you want them. Since part of your store name is “Gatherings” maybe part of the new focus should be on that? You mentioned retreats which I haven’t done, but I wonder about a coffee and tea bar for “Gathering.” Comfy chairs for chatting and hand quilting or other hand projects and enjoying a favorite beverage, surrounded by some of the products you mentioned. Ooo…..Primitive Gatherings and Surroundings?” May draw more than just Quilter’s. Please don’t turn Primitive Gatherings into a paint/cooking/home dec place. That’s what Joann’s and Hobby Lobby are for. Your ideas/dreams are brillant. Do it all,one nook at a time. Get a barn or large auditorium and make areas for creating,boutiquing,window cafe area for viewing animals,outdoor area for fruits,veggies,sandwiches and a quilt fabric notions area.kinda like an antique barn with booths,but just four large suggested areas. I am able to visualize this happening. I have been quilting for about 15 years. I’ve made quilts for all the beds in our house and then a few…. With the increased cost of fabric and everything involved with quilting, I have cut way back on making bed quilts. I am trying to make a dent in my stash by making smaller quilts. I LOVE making wool mats, penny rugs, wool pincushions, etc., but then again, I have TONS of those now. I don’t sell my creations – they cost too much to just give away – too much competition in foreign markets (yes I know they are not the same, but most people that buy them don’t). I have started making bags lately. They are a quick project – 1-2 days, and allow me to use up some of my beautiful quilting fabrics. I have even started using wool and leather in them. And they do sell pretty well. I know my daughters know how to sew, but don’t have the time. They would rather spend the money to buy handmade from someone else (or Pottery Barn!!). I love your creations and patterns and have several of your books – can’t wait to get the new one when it comes out! I think people need to create, whatever medium people choose. You might check out Pinners Conferences as they are very popular now, i’m Going to one in March at the Ontario Convention Center (where Road to California is). They have all kinds of classes, from candle making to card making to sewing to painting furniture. It’s very popular, especially with young people ( I go with my daughter). It’s very forward thinking of you to look ahead. Again, in the world we live in , people need to create with their hands. It sounds like so much fun! It not only will keep the quilters happy, but draw in a whole new group of people. Does your brain ever stop? Lisa…I think you are correct about having to grow and expand, as you move forward. Treading water, isn’t going to cut it. Additionally, as a consumer, I can only purchase and display, so many wool mats, or so many large quilts from kits, even though I might love a good deal of them! A retreat house with great food, nice accommodations, reasonable prices and classes or no classes, might be a great idea! I’ll admit, that was a dream of mine that I never pursued. Primitive and farmhouse home decor, might also be good, although I wonder how long that type of decor will be *in* too. I wish you well in these decisions and I love that you’re willing to put yourself out there and ask your customers opinions! I think you’re on the right track! Pam, I have been to Lisa’s Retreat House and we asked her mom to cook for us and the accommodations are wonderful and Lisa taught the very first wool project that I ever did and it was the Tulip Table Mat and from there on I was hooked. By the way, the price was VERY reasonable. We had to get our own group together and request a class and a cook…just so you know you can do this and it’s totally awesome! I also think Primitive decor is on the way out…lots urban farmhouse…cleaner looks..with upcycling older items…thanks Pam..
Vegas Market!!! I have been attending the Vegas Market since it opened, only on the furniture side. I know how overwhelming it can be, while also inspiring, and provides fresh new ideas. Will you be enhancing your current stores with gift items and home accessories? Or….will you be closing out of quilting products and just opening a Home Furnishing/Gift Shop? I love your quilting products and you always provide on trend kits, it would be a shame to stop. I attend 3-4 quilt retreats a year and would be interested in attending one of your retreats especially with a “farm to table” theme. Thanks for including your customers in this conversation. Keep us posted on your decisions. Lisa, I wanted to comment because things here in Florida seem to be from a different perspective than you have. All of the ladies I know are downsizing. They have houses full of nice decorative items, collections, antiques and family heirlooms but no one wants them anymore. Especially not their kids. The last thing they will buy is more home dec “stuff” to sit around and dust. The antique stores can’t give stuff away. We love your wool and designs but most of us here are more interested in smaller items to make. By the way. We don’t garden. We live in gated communities with landscapers who do all the work for us. Google The Villages in Florida and you will see a whole different world than where you live. BTW, they have over 1200 people in the guild so quilting is not going away. I did not say I was going to do EVERYTHING..it would be a place for others to teachwhat they do bes too!…I am very fine not running a sign painting class!!! Thanks for sharing your insight, Lisa. All industries change. The question, as you identified, is do you want to change and if so, in what ways? If we were to look at your target market of the past say 8-10 years, that client has made many many items for herself, friends and family. She has lots of fabric stashed, and has slowed buying for several reasons, and after reading comments here, she may have slowed her sewing. If you want to continue to market to this group, you have some good ideas. If you’re looking to attract new customers not in the current target, then you’ll have to pivot and move into new areas and new methods. Some of your ideas above seem like home décor – and maybe that’s the type of shop you would be comfortable with running. This is unique from the concept of a place to create. The concept of place in today’s world may not just be a physical location, but also mediums – think Creativebug, Skillshare, YouTube, and others. Sew-A-Longs are great ways to connect with a wide, diverse, audience, and can attract from FB and IG and YT. Think of the many of us who participated in the wool summer block on Facebook and the many connections and sharing. This is the new norm. Many people are attracted to you and your shop because of your design aesthetic. You could create a lifestyle brand that incorporates many aspects of our lives: quilts, fabric, knitting, decorating, cooking, building a business, managing time, balancing family, breaking through creative blocks, finding time to create daily, spaces for creating that travel the country, and so on. Your inspiration and first love may be the quilting, but think about how many other areas it impacts – caring for family, decorating, taking time for creating is selfcare, giving, cooking, and so much more. Think beyond the limiting concept of selling this or that product. Break through and think about sharing a Gathering lifestyle that reaches women to embrace PG beauty and creativity in all parts of their life. I love your direction…I need to think on this before I can leave any kind of worthwhile comment. I have been at your retreat center several times and boy would it be wonderful to have pets – 4 legged – to snuggle with and doing meal preparation cooking class for evening meal and a coffee/wine bar to go along with a good game of cards or a puzzle. I need to ruminate on this – I’ll get back to you. Again- love the direction you are going with this. I am first and foremost a quilter (mostly bed-size) so I hate seeing the demise of quilt fabric and pattern offerings. I’m beginning to do wool projects for their portability and variety, so I love the new quilt boxes. Many of the ideas you mentioned would be nice to shop, but I wonder how practical some of them are for online purchases. I understand your difficulty with sales, but branching out into home decorating and crafts will demean your NAME to just another craft store, Hobby Lobby, Joann’s, Michaels. Sorry, you asked for an opinion. All the photos you showed look like Hobby Lobby! Stay with QUILTING…do not dilute your product! I love all of your ideas. You are correct, I definitely don’t spend like I used to at quilt shops or online. Originally from IA, I love the gardening idea, wish I had a veggie garden like my cousins do every year. Love the ideas of four legged and 2 legged at a retreat house. My next door neighbor has chickens and love watching them when they are out of their coop. Painting is fun too, I have made monthly themed paintings to place on a bench at my front door. I love cooking too, learning new tips, easy meals, etc. I currently live in the Tampa Bay, FL area. Yes, there are gated communities but does not make up all of FL. Wish your store was closer instead of 1392 miles away. Follow you heart and you will be successful. Love the photos you shared, would love to have some of them come to my house in Australia. I hopefully will come to your store on my next trip to US. I think the whole world economy is ona slow down and of course 2019 seems to be the year of use what you’ve got. I am hoping to do a few more portable projects this year as busy with work so will be looking at wool kits. In Australia I love doing a 1 day workshop that has be completing the project so think your ideas would be great. May all your ideas come true. You can do this and be 100% successful. Another thought. I have found it incredibly hard to find cotton in women’s clothing anymore. Has it all gone to the quilting industry? I am tired of all the man made fibers, they are hot, they are cold, they have to be washed a certain way. How about patterns for simple clothing that features some of these beautiful cotton fabrics. Hmmmm…I love your kits. I only stopped buying them so I can make what I have. Maybe others feel the same. Please don’t stop offering them! I think your (CA) store is a pleasure to go to. I was just telling the ladies the last time I went that I have to go around at least 3 times to take everything in. I love home products but usually buy them at discount stores so if I get tired of a look I can feel ok passing it along to someone else. I love your kits I just have so many started but not finished. We are downsizing somewhat, but over the years my tastes have changed a bit, so I’m always looking for some cool new things to use. I think I’ve just become more selective. I think we have all accumulated so much stuff, I love doing smaller projects because they are so much more manageable. I can understand you wanting a new direction of sorts. We all need to spread our wings and you seem to have such wonderful ideas! You always have the most wonderful ideas Lisa. I really enjoyed the pictures you posted of your home at Christmas. Not only are your quilts beautiful and displayed nicely, all the other details complete each room. I’d love ideas, directions, classes on creating an entire room. Piece the quilt, paint the sayings on wood, stitch the pillows, add a design to kitchen towels, sew a rope bowl for the center of the table. And, be able to buy those unique items from you that we can’t make to complete the look. LIsa, When I read in your blog post that you may not be at another show (? ), I was sad!!!! But I totally get it, those shows are crazy expensive (I used do do them for a fortune 500 company I worked for). My perception is that whatever you do, you will do well because you are such a hard worker!!! I am only telling you this to give you feedback, not because I think I’m right in the business department: I am not interested in home stuff or subscriptions as I am trying to clean out my house and have personally sworn off buying anymore home items. And I have never liked subscriptions because I end up with too much stuff ! (However, your cute ruler box would be a huge temptation if it were not subscription!!!) Well, I hope to see you at least one more Road2Ca show! Good luck, not that you’ll need it!! I agree with some of the other people who commented about the trend to declutter, downsize, etc. I went quilt crazy and bought, bought, bought. Now I’m sitting with bins upon bins of projects, fabric, etc. joking that when I retire and have less disposable income, I’ll have plenty to keep me busy. That being said, tastes change and things I bought 5 years ago aren’t the must haves I thought they were. I still buy new projects (for example – signing up for the PG Wool Box) but not at the volume I did in previous years. I think you are on point with having a gathering space/destination. The opportunity to be with people with a common interest or opportunity to try new things is wonderfully appealing. Supplementing the fabric/wool offerings makes sense to me – things that speak of family/home/friends, etc. I think you are wise to be forward thinking about this. I’ll look forward to seeing how your plans develop. Didn’t we kind of see this coming? I used to do longarm quilting for friends, family and complete strangers. I quilted for others for about 9 yrs total. Right around my sixth year of doing such, I saw the quilts getting smaller and smaller, and the people that would bring me 2 or 3, were only dropping off 1 at a time. Quilting is a very expensive hobby! I have been to Paducah a few times in the spring and the last time I went, it wasn’t nearly as big as it had been. Same with the show in Rosemont IL. in April, about half the size as previous years. Also, I have noticed that the age of us quilters is getting up there, and I don’t see many of the younger generation picking up the art. I have two, 30 year old daughters that have no interest at all. Plus they like the more modern look for everything. I keep making quilts because of my love of fabric and creating, but I have a sizable stash, and with the high price of fabric nowadays, I’m rarely buying the new fabrics that come out. I know this isn’t quite what your looking for in the way of new ideas, but it does help to know what your up against. Best of luck to you, you’ll figure it out! In the Dallas Fort Worth area there are many quilt stores, however they mostly carry fabrics for the “modern” quilters. I for one prefer the reproduction fabrics. Also, just how many large quilts do you need. Any more I make throw size and small quilts which I use in decorating my home. I do shop online out of need, but do prefer brick and mortar and to support a local small business. Quilting should not be a race but a journey. What you have in mind are nice ideas, and I think they will make a nice addition. I feel sorry for shops that have to compete with two shops that I will not name and their in your face tactics. Make sure that you have made financial investments, so that your retirement is secure ! That being said, now you can have the kind of shop that you and your followers want. 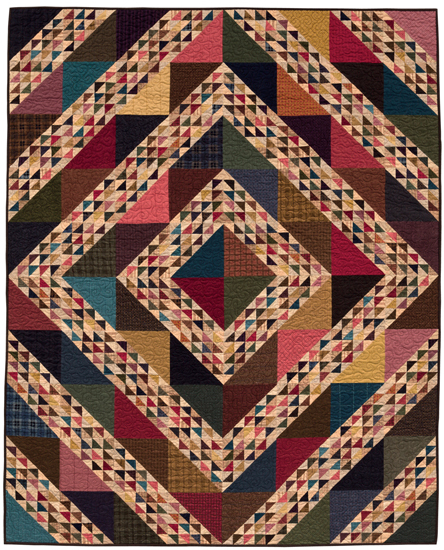 Primitive style quilters are going for that certain look, which your shop has! Lisa, your ideas are what I have dreamed of but could not design or express on my own. Your offerings fill a void that every other boring quilt shop can not match. I have been quilting since 1998 and am addicted to wonderful, quality fabric and time saving tools. My home is filled with quilts of all sizes, and recently some of your small wool mats. Rug Punch is something that I tried this last year and I needed to buy the materials on-line. Your shop could possibly carry those basic items, and offer a beginner class which I think many Prim gals would find to be fun. I have also revisited my love of Punch Needle projects and would like to buy supplies locally. ( I live in NE WI). Small projects feel like the future. The name “Primitive Gatherings “says it all….stay true while sneaking in some of the new! Thank you for being an important resource in our community! I agree with you, I have made many big quilts, covered all the beds and most of the walls. I do buy the smaller projects. I think the creating side of us needs nurtured and I think your ideas sound great. You have amazing taste and diversifying into other products is a great idea! After reading many of the comments I have little to add except to agree with many ladies here. I would remind us all of the need to create, find satisfaction, and remain true to our passions. That being said, at what age did we begin quilting or creating, many of us after the craziness of raising our families and working in our careers. I think many young will come around in due time, please be patient. Lisa you are right in searching out new avenues and wise, and I for one trust your vision. I love your fabric and pattern designs. I have many projects started, I just need time to finish them! I would love to send my unfinished tops to be quilted. I also like your quilt hangers. I think products that help us display our quilts would be great. I notice that some of the designers are doing a small quilt of the month. I think you could easily kit up a 30-40 inch quilt and pattern. Another idea is making quilt related items. My friends and I made small ironing boards from tray tables that we can use next to our machines. That would be a great class. We had fun doing it and we can finish it in a short time span. BTW, I just got your Stars and Stripes book. I love it! You are an extremely creative person. I love your design esthetic, and your booth is my top priority at at every quilt show. Over the past several years, my friends and I have observed that the average age group of attendees at every quilt show is middle to senior. I strongly believe that the quilt industry needs to develop new clientele by tapping into younger markets. I was a pre-schooler when my grandmother first taught me how to sew, crochet, needlepoint, etc. I was fortunate to live in a community where sewing was a part of the school curriculum in Jr. High and High school. Those programs are all gone now. Kids in many communities have never even been exposed to this art form. I would suggest developing programs that include kids ( Mom and me, Grandma and me, etc.). I’m sure that whatever you do will be fabulous. Lisa, I love your store in California and also subscribe to your wool box. However, like many others I have tons of UFOs and am trying to sew up the things I already have rather than buying more fabric and kits. Even tho I spend less on fabrics, I am more interested now in experiences, particularly with my grandchildren. I have already taught them to sew and I’d love to go to a retreat style vacation with them at your location where we could sew, craft, and cook together. My grandson would be interested in the crafts and work your men do also! “Road Scholar” has Grandparent/grandchild trips but there are very few offerings in what I think you could provide. I’d love a 4 or 5 day trip where we could experience the things you and your family enjoy. And this would get the next generation involved in creative crafts, sewing, canning etc. I think there is such an increase in what designers are producing that quilt shops can’t keep everything, look at etyada Sita last year produces three books , not sure but looks like 5 or 6 fabric lines, as customers we just can’t buy it all, did like the last comment about mother and daughter classes or grandma and granddaughter classes we really need to get the next generation involved. I live in Australia, but our dollar has not been great against yours so now I limit my purchases, but we are the same declining shops. I love your work,pls keep going. In this day and age, so many have turned to the Internet to learn new techniques and make purchases. I have never been in your shop but have bought many things from you online. You never scrimp in your kits. That is so important! The only thing I can think of is video. Utube how to videos or to show new lines of fabric and ideas for its use. I can’t imagine quilting without Primitive Gatherings. I agree with much of the comments. I don’t do large quilts much anymore. I buy less fabric since I have closets full of BOMs and kits. I loved your wool box. I think finding new ways to use fabric would be good. I change all of my quilts every few months. I don’t know what would attract me, but you are so creative, you will find new ideas. Have you ever visited Fancy Tiger in Denver? They are young and have a young clientele. I go every time I am in Denver(my daughter lives there).They were all fabric, but now have great knitting things(not my thing) also. They do lots of neat sewing patterns. They are easy and fun. I have bought an embroidery kit, a cute sheep pin to wear, and kits of Japanese quilting patterns and thread. There is a creative energy there and modern look. My main love is wool and your fabric, but I love their new things. They have a men’s sewing/knitting group. My daughter and son-in-law picked out the fabric for their wedding quilt there. I know people who complain their kids don’t want their pieces. Well, they would not have wanted a traditional quilt. It was black and shades of grey with a small pop of yellow. It was all various widths of horizontal stripes hand quilted with big stitch quilting. It was a hit at the wedding. Check them out on line and definitely visit when in Denver. It will give you lots of ideals. Many of your red and white quilts have a very modern look. Good luck. I only wish I was closer to your shop. I live in NC. I think the rug hooking idea is an idea that would use alot of the merchandise that you already carry, but would appeal to people because it ends up being used in a different place in their home. I started rug hooking about a year ago and found it very time consuming, then at a hooking retreat I saw a vendor who hooked with wool yarn and decided to try it out. It is wonderful!!! I was able to finish a wall hanging in a few weeks and I love how it looks! Look up Ellen Steiger of Needles in the Nest. She is who I got my pattern from and she hand dies the wool yarn. It’s just another way to be creative and not invest so much time making. Good luck in your search for a new direction. It’s hard for many of us because we are so far from you and we have to rely on the internet to reach your store. Hello Lisa I am in the U.K. and absolutely love your designs I wonder if you would consider doing PDF’s of your patterns I have purchased from you previously but shipping is now becoming cost prohibitive especially as when the items reach here we then have to pay custom taxes and handling on top. Just a thought but I know many of my quilting friends feel the same. I wish you continued success. Kathie. Yes you are absolutely correct. Also when you are in business you have to stay ahead of the market. I am a retired nurse in the UK, in my town which is small, we have the U3A – University of the Third Age which it’s possible to join for a minimal fee after the age of 55. People with expertise teach on a voluntary basis. For instance I attend Architectural History, Ukulele playing and A Piece of Cake – discussions around baking. Think of a craft and there’s a class. We also have a very good quilting shop. Really what I am saying is that in the UK people with money to spend are the over 50’s. I don’t know about the US. However it’s difficult to get hobbie supplies. I am finding it difficult to source felted wool without having to import it and getting clobbered by Customs. I love the letter boards Christmas ideas and anything “Primitive” how about setting up a shop in the UK?! – well you did ask for ideas! Sounds interesting and exciting. Gets your mind going. I love to do other projects, with friends, besides quilt. We have painted signs, hand knit throws and just gathered to hand stitch. Would love to cook, make soap, knit and so many other projects. It’s all fun. Lisa, this is a very thought provoking post and you’ve gotten some great feedback. I love the idea of a destination shop and great big retreat house. It is true, “if you build it they will come”. I live in Illinois and a trip to Waco to visit Magnolia with a group of my girlfriends is top on my travel plans for this year and last year I traveled to Oklahoma for the Pioneer Woman shop and restaurants. I would love to meet up with my quilting friends for a week of stitching and fun at PG. I also like the Nashville idea someone mentioned. My last thought, when I think of your brand I think of quality and great service, keep those two goals first in your plans and you’ll do well. Best wishes. Good morning Lisa, you’ve really got your thinkin cap on and I like your ideas. I hope your wonderful wool, fabric and patterns don’t go away. Yours was the first wool booth I’d ever seen. It was at Paducah. I was overwhelmed by the selection and creativity I found in that booth. Had there been a rocking chair there, I would have sat down and stayed the rest of the trip. As it was, I wanted one of everything. Couldn’t do that but made a dent and have subsequently made other dents at shows and in your WI shop. There are many more wool vendors out there these days, and when I get an opportunity to go to a show there is a definite PG feel to many of the booths. You are the model they try to replicate and that is something you should be proud of. I know my blathering on about what has been doesn’t look to your future, but I want you to know what a difference your creativity had made in my life. Whatever you choose to do, I’ve no doubt it will be successful. You go girl! I applaud you for your business acumen. The companies that remain viable are those that can change with the times. Good for you for being open to change. I’m sure that whatever you do, your customers will recognize the Lisa Bongean imprint and will love the products. I would love to see more emphasis on upcycling and environmental responsible use of materials, including giving back to our communities and outreach to those with less resources. Perhaps retreats focused on creating for charitable organizations? Not sure if you offer workshops for youth to pass the love of sewing and fabric on to the next generations. Maybe partnering with schools. I would also like to see more emphasis on contemporary and international quilting and stitching – sashiko, boro, Zokin. I believe this might appeal to younger fiber enthusiasts, crucial to survival. I haven’t read all the comments, but a retreat where quilters come to you would be great. My friends and I used to go to Gwen Marston’s retreats in Elk Rapids, Michigan. She did this for 5 weeks where groups of quilters arrived on Wed. Left on Sun. There was always a theme for that year. We would meet in the morning for instruction and then the rest of the days were ours to work on a “themed” quilt, work on our own things or just hang! Gwen was always available for questions. the sewing room was open 24 hours for sewing. We also traveled to Missouri for the Liberty Gathering (back in the day) where our rooms were in a hotel. So much fun meeting quilters from all over and taking classes in different locations around the area. Most of the quilters I know are willing to travel and like the idea of being in one spot for several days with a teacher they love. You have a great following! On another note, rug hooking would be great too. I love to hook but surprisingly in Michigan there aren’t places to purchase wool. Most of what I purchase is online. I always load up on wool at your vendor booths (as well as fabric and kits-we love your stuff!) Whatever you decide to do, I hope you don’t disappear. You are the first booth I seek out at the show and the first place I look for fabri/wool on line. Thank you for all you do! You are amazing!!! I am also sad about the closing of so many quilt shops. While I love home decor, I hate the “Made In China” tags on them. I would love to see quality items Made In USA. Reclaimed items, pottery, quotes … all loved by me! High Pricing for fabrics has curtailed many people from wanting to make large quilts and the hope of earning extra income by quilt making is nearly impossible. Most people refuse to pay a price that will insure a profit. Not everyone has hundreds of dollars sitting around to pursue their hobby. The industry has outpriced many of us! I see the “writing on the wall” as far as quilt stores go, it is hard to find 1800’s reproduction fabric, however, we are very lucky to have Primitive Gatherings in our back yard. I can see branching out to yarn, rug hooking, etc., things made by hand. Also add to that list a class to teach how to use a spinning wheel, you can spin your yarns and then turn around and use that yarn to create something! Thanks, Lisa, for staying ahead of the game! I am one of your subscribers to the wool box and am so excited about it. It is my first subscription box, and I am doing so because I am interested in doing more wool projects. I understand the quilt world is changing, and I understand the need to want to expand into other areas…but I also have been part of and watched many companies expand too fast, and get into merchandise that really hurt them in the long run. Several have gone out of business completely. I get concerned when I see everything so trendy. The farmhouse look is great and I can incorporate part of it in my home, but I don’t live on a farm…and this is a trend. Along with all the signage…I think some of it is great, but it can be overdone. At some point, this will be old and other trends will be “in.” I realize you will probably be moving along with the times and trends, but having lots of overstock was what did put the aforementioned companies in financial risk. I am only mentioning all of this because I want the brick and mortar stores, especially PG, to remain. I live where we have had 3 quilt stores and now have none…I drive over an hour to get to one, and I live in a mid sized midwest city. We have 3 guilds and one has over 150 members! I have to order online or drive, which I love to do…and btw, I didn’t see your name on the vendor list for the Shipshewana Show this summer…I hope you will return in the future. Your booth is unique, and now that you are offering the subscription boxes, I would think that could be a draw for our area. I also love the idea of offering retreats…maybe more often. I have tried to get into a couple of retreats in Ohio, but have filled up with past participants. Adding new retreats is something that should be looked into. I am a quilter, cross stitcher, and love the wool items. I also incorporate wool into my cross stitch projects sometimes…which I have never seen a pattern for, I just like to add the texture and variety. I wish you all the best. Retail is hard, but as long as you offer the quality, and not the junk, you will have loyal customers. My daughter would love to quilt, but has three toddlers, so not in her cards at the moment…but as she gets past this phase, she will be creating, and I will be encouraging her to use quality products! I have faith in the younger generation, once they get beyond the massive signage in their homes!!! Ha!! Loved hearing your thoughts for expanding into other areas. I’ve been quilting since 2007 and have collected so much since then (kits, fabrics, projects, etc.). I can buy much faster than I can finish things!! I have so many things that aren’t started (or finished) that I try not to buy a lot of new stuff. I like your idea of expanding into home decor items. Looking forward to seeing how Primitive Gatherings evolves into the future. I think you just may be on the right track! You have a vision for the future, we that enjoy your work,kits, store whatever will still be with you on this next adventure I’m sure! Keep looking forward! I live in Canada so the dollar exchange is high. Then you add Duty and shipping. This makes it very costly to purchase any fabric; kits; books etc. It is very expensive to buy these products here too as they are shipped from the States to our shops. ($19.00/ meter for cotton fabric) Also the way the markets are losing money plays a factor. Money is saved for groceries and household bills. I am also on pension so money is not flush. Retirement does not guarantee the golden years. Also I believe people are very nervous about what is going on in the world with country vs country and what is going to happen in the future. Our world is changing and it is scary . As a quilter of a “certain” age, we’re trying to come to terms with our stash. I am trying to create my quilt bucket list to concentrate on . . . other than some philanthropy quilts. With that said, new things catch our eye, especially the smaller projects. Love all of your suggestions, especially a retreat venue. Quilting tours (other than cruises)? I have often wondered if new fabric lines need 40 different color/pattern ways; perhaps 20 or so would suffice. Many of my friends (60’s, 70’s, 80’s) have more quilts than what their families will want in the future. What will become of all of those quilts? I loved the pillows you featured recently. Thanks for asking! I hope something here helps. The girls at Old Green Cupboard used to have just such a store as I think you are envisioning in Jacksonville, Fla. They might be a great source from the owners perspective. As a consumer, I would like to see a limited number of non fabric/quilt related items. The reason the consumers don’t buy the big kits is the price! I used to buy them regularly but now they are cost prohibitive in most cases. Good luck – I know you will figure it out! We have had 3 quilt stores in Metro Atlanta, 2 very long term stores, close or announce closing since January 1st. So sad – market definitely changing. On another note, see you in Daytona! Can’t wait. I love the idea of quilting services (much needed) & a retreat house. Ok with some non-fabric related items but wouldn’t want them to take away from why we love PG – the quilts, patterns, expertise you share, etc.! Other activities on a small scale would be ok but again, don’t take away from the quilting aspect. I agree with the other comments about things getting more expensive, plus many of us have our own stashes – which is why the retreat house idea is appealing. We need time away to work diligently on our projects. God bless you as you ponder this important decision. I see a remake of Mary Jane Butters, but a step into the future. I really like the idea and wish I lived closer to enjoy all your dreams. You go Girl! Love you your designs and fabric. I ordered the wool boxes because that is my favorite right now. Knit ting yarns you picked would probably be wonderful. If you do add decor add what you like. Most of my friends love your house pictures. Everything changes, but I still love to make your designs. I am a Crafter if that’s a word, in my world it is. I made my clothes from 6th grade till today and times and styles have changed I am 60 years old. My wonderful Grandma started me sewing with Barbie doll clothes no patterns when I was about 8. Most of my crafts are self taught from books or just figuring it out. There is a need for what Lisa is talking about, the young people today want to get back to making things. My niece who is in her late 30’s just asked me this weekend if I would teach and help her to make my toffee for her wedding favors, I said yes I want this generation and those after me to know these skills. My nephews helped me make my candy when they were in high school so they then made candy for fund raisers they earned enough money to purchase a cow for their group. I do not have children, but my nieces and nephews call me when they are cooking or sewing etc. Now they have friends who want to know these things and I never tell any one no who wants to learn. I have taught the girls to knit. I guess my point is, Lisa you go girl there is a need. We are now losing another quilt shop. The problem I saw there is they did not offer classes. Every quilt shop needs to have a beginning quilt class. I have some friends who would like to learn and I tell them take a beginner class first then I am happy to help you.They need to learn from a professional. 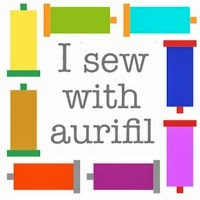 I am trying to get a knitting/stitching group together in my small town. I am not having much success. They want to but won’t take the time to learn. Too busy. We do not get the younger generation to engage. They all want easy fixes. I was teaching a 7 year old boy to knit a washcloth. Now he hides from me. I feel for the shop owners. We lost a fabulous knit store last year. I think to we tend to want smaller projects. I have so much material as everyone does. We need classes that teach us to use what we have. I know that is not what a shop owner wants to hear but we have accumulation. I think also group make and take is good. I would love to have a monthly craft class in our little town. We talk about it but it doesn’t happen. I feel for all the small towns and business owners. I understand the need to change with the times. My husband is self employed and has had to do the same thing. He started in the residential “boom” and now installs surgical equipment. I have a dream to get to come to one of your retreats; however, financially the travel costs make it unreachable. I live in the Dallas area. Maybe when all my kids are not in college is my hope. I know that I have really stopped making large quilts for 2 reasons. The time it takes and the cost of having it quilted. I tend to make smaller lap quilts or wool applique because of its portability and it is easy to work on at night and still be in the family room. I love your wool and patterns. I also have a stash of projects but am still buying new. I tend to buy fabric now in the 1/2 yard bundles so as to get fabrics that work together. I also love to find new tools that make things easier or better and love to buy wool and thread! May you find the path that will work best for you and Nick. Go for it!! Would each of the items be available online? or only in your brick and mortar store? Businesses that refuse to change are doomed to die. I believe this adage and you are smart, Lisa, to think about the future and keep an eye on the changes. I also have seen the quilting industry, as a whole, age. I remember going to quilt shows and tripping over baby strollers. Now I trip over oldsters walkers. Young people want it done NOW. They also seem to be drawn to yarn as their favorite medium and they tell me it’s because it’s so portable. 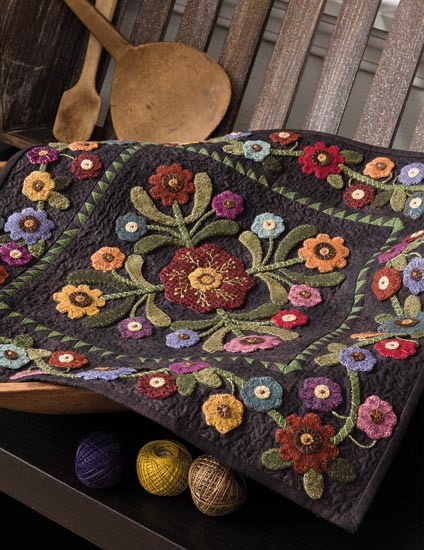 Many have been drawn to rug hooking and love the warmth that brings into the home. We older quilters generally have several large quilts and may not need any more. I also believe the pendulum will swing the other way eventually and the younger generation will once again tackle those quilt masterpieces but until then the shops have to evolve. I think it all sounds great and it’s all very exciting! You certainly have a knack for seeing trends in advance and you also have a very loyal group of followers … including me! Go for it, whatever “it” may be! Lisa, remember how you got where you are today, your creativeness and artistic talents, hard work, business savvy and surrounding yourself with good knowledgeable people. You have a store front and very viable web site. Think long and hard about where you go from here. If you. Have a good Small Business Development Center in your area, run ideas by them and they will give you a lot of facts, figures, and advice all for no fee. The gift industry is challenging (I had a shop for many years and loved it) and there is a lot of competition out there with discount shops and on line availability . You have to find the perfect niche whether it be paint classes, gifts, etc because that too will bring people into your business to see what else you have to offer, it may even get them excited about quilting as a beginner or re light someone who has not done it for awhile. Remember that a lot of the people who have the discretionary funds work from 9 to 5, or are older like me. I wish you well, I took my first quilt lessons from Liz Porter in Iowa, started to work again and then became interested in renewing my love of quilting because of your first blogs about wool appliqué. It now is my retirement pleasure and my children’s inheritance is in that room with the floor to ceiling containers from Primitive Gatherings. I wish you well and want to tell you that your warm and caring personality are your greatest assets. Best wishes from the Iowa tornado lady. I love the photos of your home and the way you use your quilts. I always get inspired and the credit card comes out as a result. I’m also a person who thinks if I don’t get something when I see it, it will be gone. So many decisions to make,it’s hard to decide what to do. Myself I’m into wool appliquing😊 I’d love to order more but with the exchange rate (Canada) it’s hard. Also, I’ve traveled with my hubby across western Canada and I have found many quilt shops in the small towns are gone. The larger ones have really jacked up their prices. I too have noticed that the young ones aren’t interested, they just ask Grandma to make it or they buy it in a store. So sad, I don’t know what I’d do if I didn’t have something in my hands to make. And I love quilt kits as I can’t find any shop here in Calgary that carries wool. Thanks Lisa for all your creativity. I love your website as I don’t live close to your store. I agree my purchase habits have changed. I too work and have a full schedule but have gone to retreats and love the idea! I can get away and just do what I love with others who enjoy it as well. I wish you were a little closer but would certainly consider a treat of attending one of your events. I did subscribe to your wool box – LOVE IT! I am looking forward to what surprises you have planned for this program. some of my favorite quilt shops over the years have had all the quilt stuff but also home decor projects and stuff to buy. I like the way you are thinking. But I am in CA and you cant see the sheep or plant a garden here. I’ve been buying wonderful wool and quilt things from you for a number of years and love your Neenah shop. And I think your website and blog are great. I think quilting services would be wonderful and I know you’ll make good decisions for yourself and for your business. I’m looking forward to it! I am lucky to have a class to go to every Monday at a pretty good quilt store here in the OC. It’s really the teacher and a group of wonderful women that keep me going there when I could get a free classes from the Emeritus programs offered via community colleges. They carry very limited wool and just a few small kits (but they just got in your stars and stripes book!) We have an annual retreat near your Murrieta store and I always take time out to go, and yes, buy yet another kit (I told you at Road that I had run out of surfaces to show off my finished projects!) I would love to take many of the classes offered there but the distance and traffic (mostly traffic) is a bit too much to entice me to attend. I do buy from your online store and several others. Beside quilting and wool work, I also am working on felt projects. I like to buy everything I need for a project from one place. For example on my felt projects, I was able to get the felt, floss, wood beads, solvy, glue, and thorough pattern instructions and a FB group for help and inspiration. I’m not sure I would purchase jewelry or home goods, although the letter boards look really fun and I’ll probably order. I plan on looking for the wall hangers you showed several months back when I visit the physical store. Which brings me to my rationale for ordering online. If I can get it from a store, I will buy from the store. I will often begin the ordering process on a site and when it gets to the shipping cost, I’ll stop right there (even when something’s on sale) if I don’t feel the cost is reasonable. I never will buy when the shipping costs are based on the price of the goods. I spent 28 years in the transportation business and I know how cost is calculated. I did purchase the initial wool box but the pattern and kit was not something I would have bought, so I will not subscribe. It just wasn’t my style. For the same reason, I will never do another mystery quilt! Sorry, this turned into a really long comment! Thanks for asking for our input. I shop local & online. I can’t always get to a local quilt shop or the one closet to my home just doesn’t carry what I want. My fabric tastes are not the same as the owners. The biggest problem I have found is with the finishing of my quilts. It’s too difficult to quilt a lap size or larger quilt on my home machine so I take it to the quilt shop to be done on the long arm. First issue is the long wait time, sometimes months, to get the quilting done. The bigger issue is the selection of quilting patterns. I had made a masculine quilt for my husband but my local shop only offered patterns in curls, and waves, or something very seasonal like hats & mittens. I was really looking for an angular quilting pattern to accent the Antelope Canyon quilt done in shades of grey. I checked with another local place who offered to get the quilting design I had in mind but I’d have to purchase the computerized pattern. Now I have no problem with purchasing many things but since the quilter would be keeping and perhaps again using the computerized pattern I wasn’t pleased with that option. I wound up shipping the quilt across country to have the quilting done. My engineer husband was thrilled with the pattern of squares, triangles, rectangles, and circles of various sizes in the quilting. So perhaps adding long arm quilting services would be helpful to you and folks like me who can’t get it done locally and are willing to ship. You may want to offer wide backing too. One less thing to worry about shipping and having it be the right size for the machine and squared up. Binding is another option. One last thought, a way to include a label on the back in the quilting. My current process is to catch the label on 2 sides when I bind my quilt. Then I use some fusible to secure the label before I hand stitch the other 2 sides. I want to be sure the quilt is securely labeled but it would be great if I didn’t have to add in this step. Hope this helps as you strive to survive. I love quilts and quilting. I guess it is a lifestyle for me. I learned to quilt in 1985. I love to hand quilt but have many more tops than finished quilts. I am now at that stage in life where sitting and getting my quilting done is what I want to do. I don’t want to downsize my lovely collection of books and patterns and fabric and tools…they are important to me for enjoyment and entertainment but quite honestly I don’t want to add much more. My priority now needs to be finishing. Perhaps the quilting service is the most practical idea considering many people seem to want to finish rather than start projects. Hi Lisa, left my comment on the wrong post..oops! I have been reading all the comments left here. Some great ideas. I had a few other thoughts that may help, may not. I have three daughters and two nieces, ages 26 to 30. All married. All with children. Two are vegetarian/organic. One is a huge upcycler. Two were taught to wool applique and liked it. But then came children and it all goes on hold. They won’t be looking towards crafting until life gets sane again, after their children head off to college. I personally think what you could lure them in with would be a class or two in various arts, but I don’t think that age group will be a good customer until they are older with the means and time to pursue crafting. What I would love to see is the retreat angle and lots of classes on your schedule. I see here many people echoing my thoughts about guest lecturers and classes to meet other like-minded people. As far as getting a class on line, free or not, there is no teacher to watch what you are doing and help you through it if you are having an issue (needleturn applique comes to mind). I took the crazy mat class from you and loved everything about it. I purchased the class, the kit, and ended up spending more at the class. That is the kind of shopper you want… one there for a long period of time thinking about all the things we want to purchase to complete our projects right then and there and not running out to a local wal-mart to try to substitute the good stuff. As far as retreats, I am dying to go. BUT I think about the cost and then think about how much quilty loot it could buy and always back down. But at my age (early 50’s) and stage of the game, I now have so much stuff accumulated and not completed, I am all about finishing up projects. Long-arm services would be great, but what stops me is the cost. Too expensive and I will just struggle through it myself. I would love to see needleturn applique class, free motion quilting classes with rulers obtainable in your shop, and lots of ways to finish all the wonderful things we have accumulated over the years. Home decor is beautiful, but with so much competition out there, that could be hard to sell. Waiting to see what great things you come up with! Wow so many comments! It shows what a following you have. I started reading them and thought okay maybe I should go to the bottom first and make my own comment. I see all the changes you are talking about not just in crafting and but in decorating your home-so different then when I started out loving primitive, country, and antique decor and crafts. I know we all need to evolve and what ever you do I am sure it will be great. You are so creative and such a go getter! Also The internet is so important for those of us that have NOTHING and NO PLACE to go nearby. I am still in culture shock moving to a small New Mexico city that only has a small Joanns and a Hobby Lobby and that’s it and El Paso, TX which is the closest big city has nothing either. Best of luck with the changes you will be making.I am sure they will be wonderful. I wish you all the best with what ever direction you take the business. Will follow you no matter where it goes. I feel like I’ve grown up with your business. But from one Midwesterner to another, quilting, applique, rug hooking, all have become hobbies for the wealthy. When did that happen?! As an example, I love the Mystery Crazy Stitch-along but $267 for the thread kit for one block (when their are eleven more to do). Really?